The Bahrain Tourism and Exhibitions Authority (BTEA) has announced the launch of Lego Shows which will be held between the 22nd and 31st of August 2018 at the Bahrain International Exhibition and Convention Centre (BIECC). The Lego Shows brings to life the world of LEGO under one roof and will be featuring millions of LEGO bricks, huge LEGO sculptures and models. Various beloved LEGO brands such as, Ninjago, City, Duplo, Friends and Star Wars will be featured to name a few, as well as LEGO building challenges and obstacle courses. “The Lego Shows comes as part of BTEA’s exciting calendar of events for 2018, and we are keen to host the event during the Eid holidays in order to attract a large number of visitors and tourists from inside the Kingdom as well as neighboring GCC countries. We look forward to hosting numerous fun-filled family events and festivals in order to further develop the Kingdom’s tourism sector, further strengthening its position as an ideal tourist destination for families,” said the Chief Executive Officer of BTEA, H.E. Shaikh Khaled bin Humood Al Khalifa. Additionally, the Kingdom of Bahrain will be hosting Cartoon Network Live! Heroes Unite show which will run for a period of four days, from August 23 to 26, at the BIECC. The production brings together an international, award-winning creative team to ensure the ultimate family entertainment stage show for audiences of all ages, featuring Cartoon Network’s most popular heroes from Ben 10, The Amazing World of Gumball, Adventure Time and The Powerpuff Girls. Hosting these events comes in line with the BTEA’s long term strategy to further develop the Kingdom’s tourism sector and strengthen its position on a regional and international level under the slogan of ‘Ours. 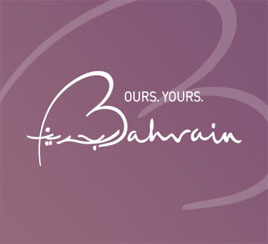 Yours.’, which contributes towards the Kingdom’s economy and the 2030 Economic Vision.